I love a good pantsuit for women. And with easter pastels dominating every fashion forecast online, now is the perfect time to wear pink. Also, menswear inspired dressing has been getting bigger and bigger every year (not to mention, it is addictive) so if you haven’t jumped on the bandwagon, you definitely should! 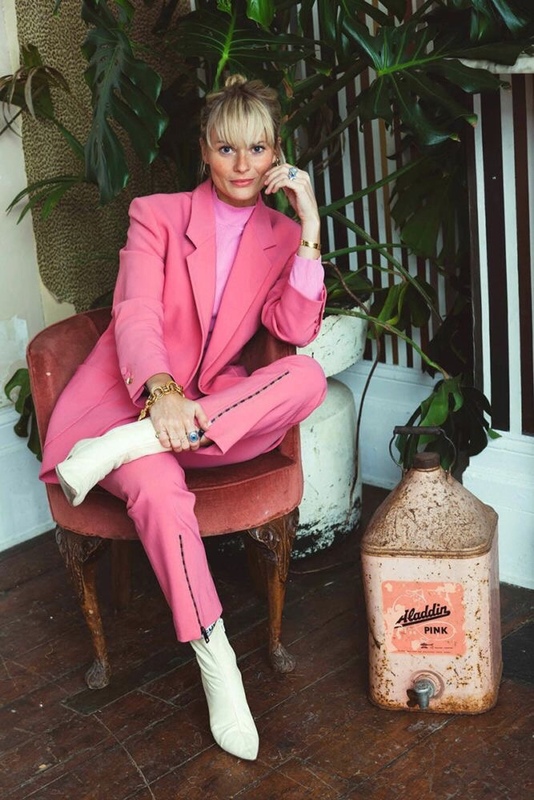 I’ve absolutely fallen in love with my pink crepe suit that I recently bought from Zara. It is super comfortable, makes one hell of a statement and it can be dressed up and down. I’ve paired it with my beloved Nike Cortez sneakers, some white oval urban outfitters sunnies, and my Gucci Marmont wallet. Oh, and who said pink and red don’t go well together? I’ve finished off the look with my favourite lippy – Ruby Woo by Mac. 2. 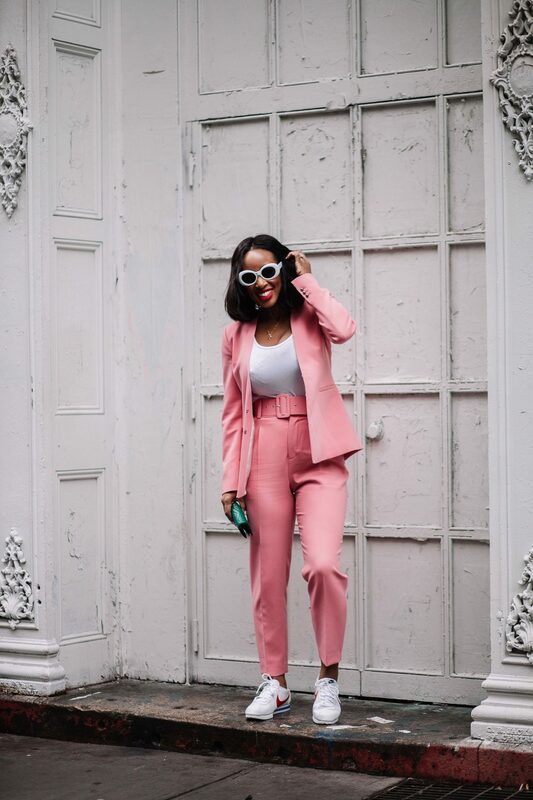 Don’t be afraid to pair your pink suit with a red lip. 4. I love how the following fashion girl paired her suit with a pair of platform brogues. 5. 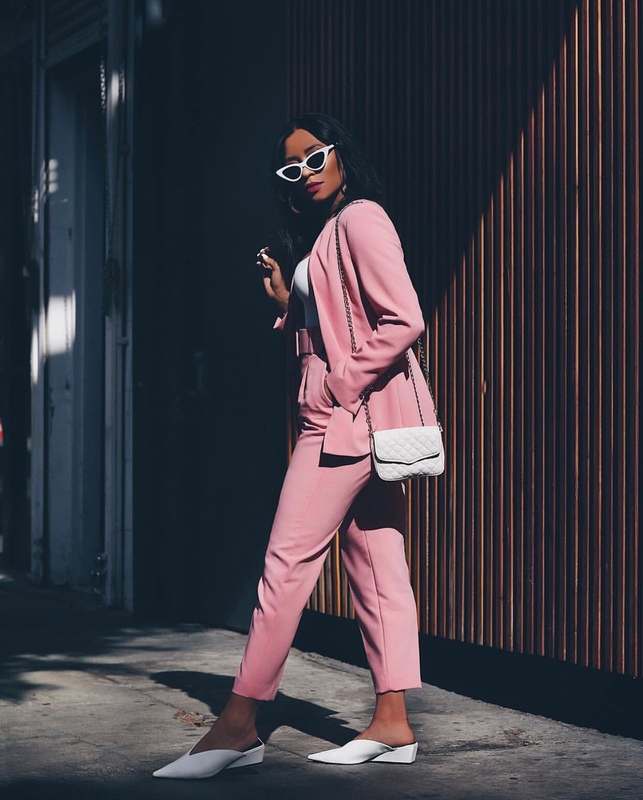 California girl, (Morgan Bethel of @HangitupLA) killed her pink suit with a pair of white slides and matching cat eyed sunnies. 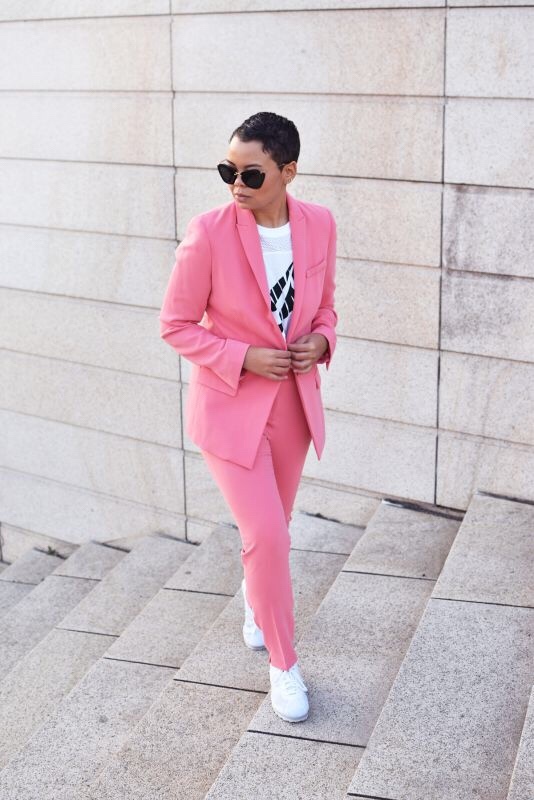 But in all honesty, my absolute favourite way to style a pink suit is with a pair of cool sneakers just like Aimee Song, @Justlikesushi and this Fashion Week Fashionista shown below in pink converse all stars, making a statement in comfort. 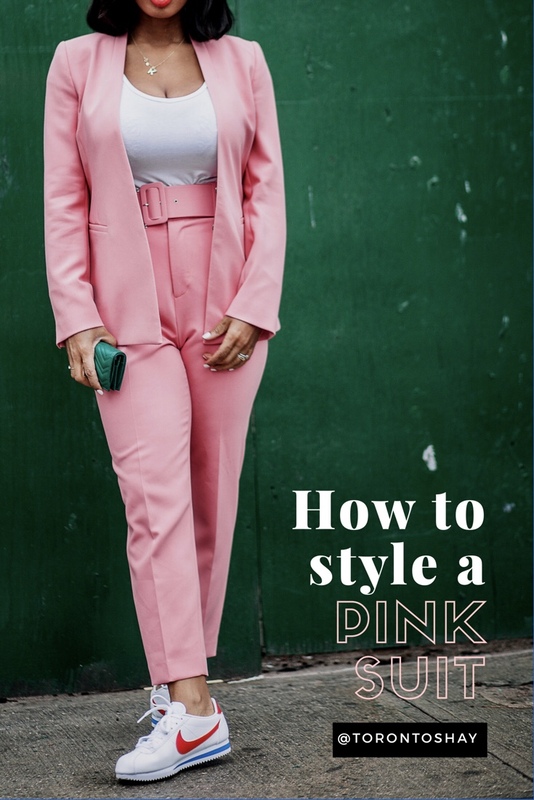 How would you wear a pink suit? Note: All photos sourced from Pinterest or Instagram unless otherwise noted – Photos of me were taken by Denisse Benitez. Previous Post Four Reasons why I Loved Going to the Opera and why you will too!